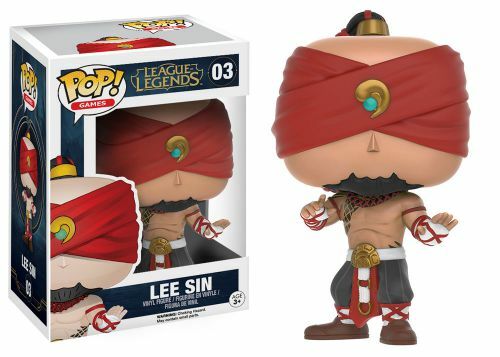 Time to choose your champion with the debut of 2016 Funko Pop League of Legends. 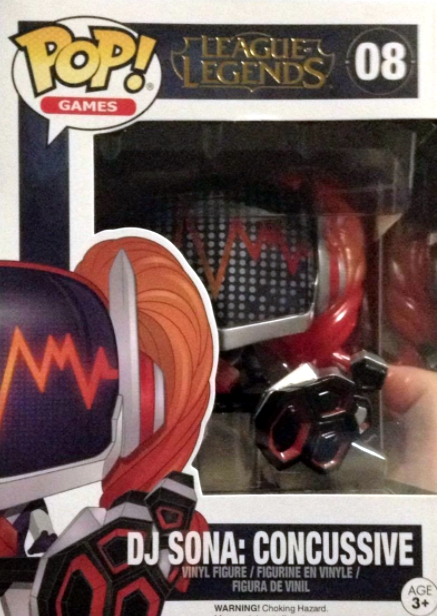 The main set includes six figures issued within the Pop! Games line. League of Legends (LoL) is a real-time, role-playing, massive online battle arena (MOBA) PC game developed and published by Riot Games. First released in 2009 for only the Microsoft Windows platform, LoL has since developed a version for OS X. After being assigned or selecting a champion, gamers compete in online matches chosen from three different modes. The game has over 67 million competitors and is in the top three MOBA games played in eSports competitions. 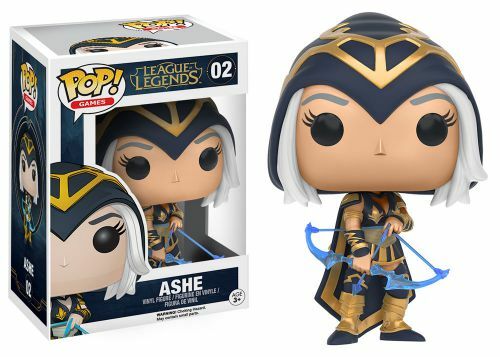 Although there is a large roster of League of Legends champions to choose from in the actual game, the 2016 Funko Pop League of Legends set starts with only six. 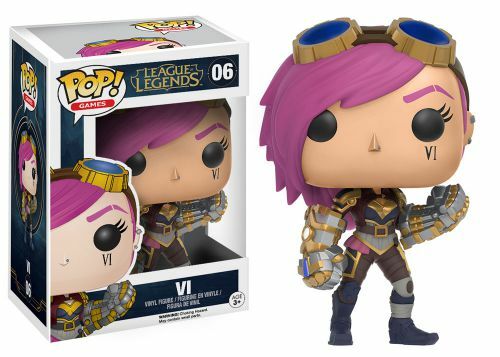 Joining Vi, the Piltover Enforcer, is her fellow assassin/fighter Lee Sin, the Blind Monk, marksmen Jinx, the Loose Cannon, and Ashe, the Frost Archer. 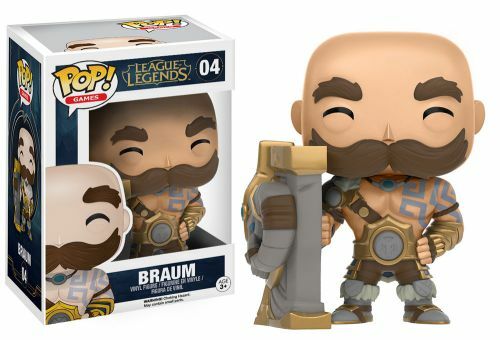 They are accompanied by supporter Braum, the Heart of the Freljord, and fighter Thresh, the Chain Warden. 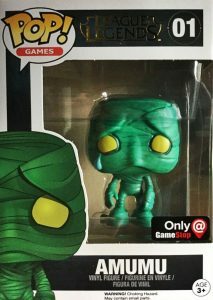 The League of Legends Collector's Box, a GameStop exclusive, includes a limited edition Amumu Pop! 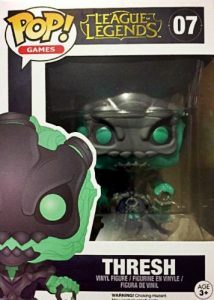 figure, along with a mini Lucian figure, Thresh Pocket Pop! keychain, and a Mystery Mini Poro three-pack. There is a total of six Poro minis to collect as part of the Collector's Box. 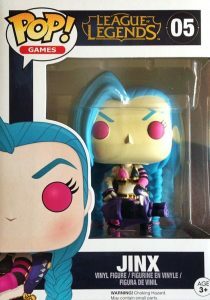 All the Funko Pop League of Legends primary figures and the Collector's Box can be found for sale at GameStop. 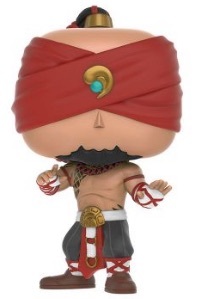 Numbered as part of Pop! 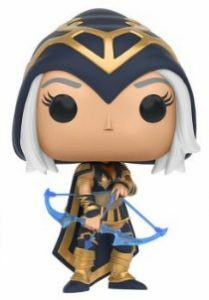 Games, the 2016 Funko Pop League of Legends vinyl figures stand approximately 3 3/4” tall. 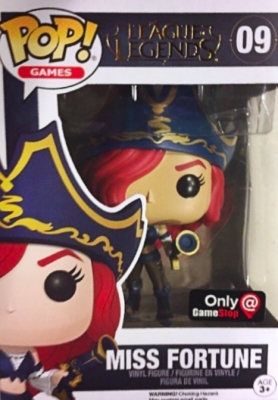 Collectors can also find a separate Mystery Minis release for League of Legends.